Over 24 million Americans will take out an unsecured personal loan this year, and that number is expected to rise in the years to come. So what exactly can you do with a personal loan? Debt consolidation is one of the most popular uses because many consumers with credit card debt can find a better interest rate with a personal loan. Instead of making monthly payments to multiple credit card companies, each with a different due date and interest rate, you might be able to beat that expensive APR with a loan. You can then pay off all of your credit cards (or other debts with high-interest rates). You simply make one fixed payment for a predetermined period of time. With more than $729 billion of credit card debt in America, it’s no surprise why using a personal loan for debt consolidation is a common choice. Many people use personal loans for other expenses as well. They’re usually reserved for expensive items that are difficult, if not impossible, to pay for all at once even if you have a beefed-up savings account. For example, you might need a new roof or want to update your kitchen before you sell your house. Or perhaps your wedding plans cost more than your current cash flow or you need money to help pay for an adoption. Personal loans make it easy to finance big-ticket items without draining your savings all at once. And while banks and credit unions have historically been the place to go for personal loans, online lenders now offer easy access to financing, often with lower interest rates. Compare offers from multiple lenders to make sure you’re getting the best personal loan. Look at the interest rate and origination fees (plus any other applicable fees) because that will tell you how much your total loan will cost. Each lender’s annual percentage rate (APR) helps you compare these numbers as a single percentage. Also, make sure you can afford the monthly payments and that you’re comfortable with the length of the repayment period. Without further adieu, we present the nine best personal loans. Because we included lenders focusing on different types of borrowers, we encourage you to read through the list to find the best fit for you. 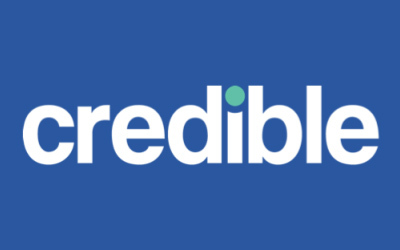 If you’re looking to compare multiple, personalized offers for personal loans, Credible is your best bet. Simply complete Credible’s short pre-qualification form and you can instantly receive real offers from as many as 8 different lenders. The entire process takes less than two minutes and will not affect your credit. It’s also completely free! Lastly, and importantly, your personal information will not be shared with lenders. Comparing offers on Credible will ensure you do not receive any follow-up or outreach from the lenders in their marketplace. Check your rates from the industry’s top personal loan lenders today! 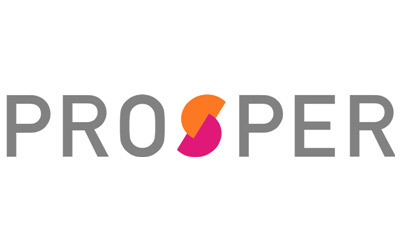 If you’re interested in a peer-to-peer loan, check out Prosper. Rather than submitting a loan application and getting an answer right away, your loan needs to get funded by investors. They’ll review key components of your request along with a snapshot of your credit profile. While the process is a bit slower because of this extra step, it opens the door for a wider range of borrowers. The minimum credit score is 640 but the company says that the average borrower boasts a 710. There’s no exact minimum for income requirements, but again the average for a Prosper borrower is over $88,000 per year. How much can you borrow with a Prosper loan? Amounts start at $2,000 and are capped at $40,000. Since more credit types are accepted, there’s a broader range of APRs, moving anywhere between 6.95% and 35.99%. You can also choose between loan terms, which last either three years or five years. You’re likely to save money on interest with the shorter term, but you can potentially lower your monthly payment amount if you spread it out over the longer period. Expect to pay an origination fee with your Prosper loan, which can cost anywhere between 2.4% and 5% of your loan amount. The fee comes directly out of your loan before they’re deposited into your bank account. FreedomPlus offers personal loans to borrowers with good credit. While their main focus is primarily on debt consolidation loans, you can use the money for a number of purposes, such as home improvement or a wedding. The minimum amount you can borrow is $10,000 while the maximum is set at $35,000. What kind of APR can you expect from FreedomPlus? Depending on your credit, interest rates can start as low as 4.99% or go all the way up to 29.99%. You’ll also need to earn at least $30,000 a year through verifiable income. With FreedomPlus, you can get a same-day loan assuming that you’ve provided a completed application with all required supporting documentation early enough on a day that their offices are open. Otherwise, funds can be deposited into your bank account within 48 hours. An interesting benefit that comes with FreedomPlus is the potential to receive discount points. You can get your APR lowered by using a co-signer, taking advantage of debt consolidation direct pay, or by having at least $40,000 in your retirement account. Overall, FreedomPlus is a transparent lender with generally favorable loan terms and some extra perks for those who qualify. Upstart offers personal loans particularly for younger individuals who may not have an extensive credit history. Most borrowers are actually in their early 20s to mid-30s, and many of whom have recently graduated from college. Rather than focusing solely on credit, they consider other factors as well when considering each loan application. For instance, the lender also looks at your education and work history. If you’re just out of college, they may look at things like SAT score and GPA. If you’re older, they’ll look more extensively at your work history. 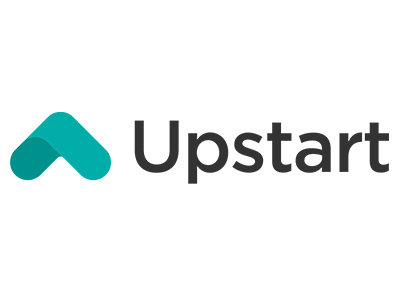 Upstart’s interest rates start at 6.4% and go up to 29.99% — quite a competitive range. You can borrow anywhere between $1,000 and $50,000 for up to five years, but you’ll need a credit score of at least 620 (with the average coming in at 692). If you hit financial troubles, they also offer flexible repayment terms. Another neat feature is that you can get a loan for a partnering coding bootcamp, even if you don’t have a job or a college degree. This helps you invest in yourself by getting experience in a high demand industry. It’s no surprise they place a high value on tech skills since it was founded by three former Google staff members. If you have a solid work or education history that shows you’re a reliable person, you could find the online personal loan you need with Upstart. Each underwriting process is tailored specifically to the individual giving you the best chance for success. 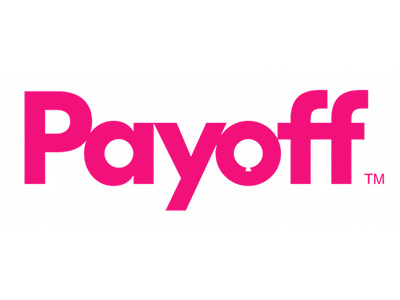 Payoff allows you to consolidate credit card debt and instead manage a single installment loan with what could very well be a lower interest rate. Many Payoff borrowers also experience an increase in their credit score, averaging at least 40 points when paying off $5,000 or more in credit card debt. Loans start off at $5,000 and go up to $35,000 depending on your needs. APRs range from 8% to 25%, which includes an origination fee of 2% to 5%. Loan terms are also flexible, lasting between two and five years. Loans are unsecured, so don’t worry about putting up any collateral just to get approved. In order to qualify, however, you’ll need to meet a few minimum requirements. First, your credit score must be 660 or higher. Your debt-to-income ratio must be 50% or less and you should also have at least three years of good credit. Expect to need at least two open and satisfactory trade lines on your credit report, with only one being an installment loan in the last 12 months. Finally, you can’t have any current delinquencies and any from the last 12 months should be for 90 days or less. If you meet these requirements, a Payoff loan may be a good fit for you. What else makes Payoff stand out? Once you take out a loan, you’re entitled to some nice “member benefits.” Most notable is the free FICO score you receive each and every month. This helps you track your progress in improving your credit as you pay down your debt. You get job loss support in case you lose your job, and check-in calls throughout the year with the member experience team. Also interesting is their dedication to “empowerment science,” giving you access to personality, stress, and cash flow assessments. 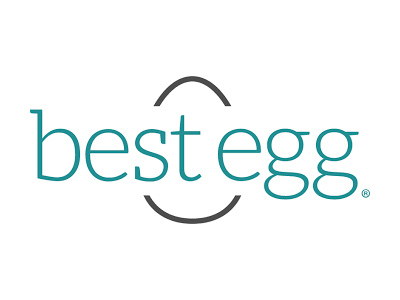 For borrowers with good credit seeking competitive interest rates, Best Egg is a strong option to consider. They’ve funded more than $2 billion since their opening in 2014 and have assisted over 200,000 clients. For those with the strongest credit scores and an annual income of at least $100,000, APRs are as low as 5.99%. Otherwise, they range up to 29.99%. Loan amounts are as low as $2,000 and as high as $50,000 if you meet special qualifications. Origination fees range between 0.99% and 5.99% and are taken out of your funds. Once you’ve had a loan for at least six months, you can actually apply for a second loan if necessary. Your combined balances can’t exceed $50,000 but it gives you more flexibility in your financing where many lenders prohibit more than one outstanding loan. Most of their borrowers use their funds to consolidate debt, but you can use the money for just about anything. Whether it’s for medical expenses, a new kitchen, or your upcoming wedding, they allow for a large variety of loan purposes. If you have strong credit and are in a relatively high-income bracket, you can take advantage of some of their competitive rates and terms. It’s quick and easy to get an offer and won’t hurt your credit. In fact, you won’t have any hard pull at all until you’re ready to sign your loan agreement. 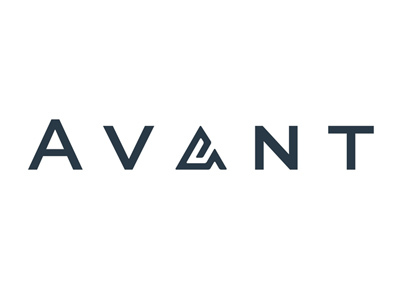 Avant has served close to half a million borrowers since opening its doors online in 2012. It’s a great middle-of-the-road option because most Avant borrowers have either average or above average credit. The average score range is actually between 600 and 700. If you have strong credit, you can get an APR as low as 9.95%. Loan sizes range anywhere from $1,000 to $35,000; with such a low minimum, you can get a low-rate loan for a short-term need, whereas many other lenders require a minimum of $5,000. Many Avant borrowers use their loan for debt consolidation and the lender states that six months into the loan, those borrowers see an average 12 point increase in their credit scores. Funds can be directly deposited into your account as soon as the next business day. You also get to track your VantageScore for free each month. Another unique feature offered is their late fee forgiveness program. If you’re late making your payment, you’ll be charged a late fee. If, however, you pay your next three consecutive bills on time, your fee will be refunded in full. They also hold true to the idea of a high-tech online lender. You can access your loan dashboard either online or through a smartphone app, making this lender user-friendly and competitive. 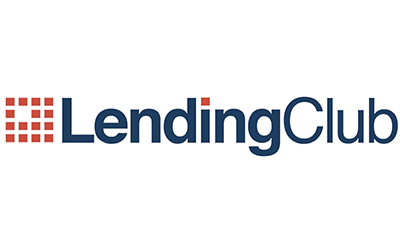 One of the country’s oldest peer-to-peer lenders, LendingClub offers unsecured personal loans to a wide range of borrowers. While most borrowers have excellent credit, it’s still possible to get your loan funded with a lower score. The maximum loan is higher than most lenders at $40,000 and the minimum loan amount is just $1,000. Your fixed interest rate can range anywhere between 5.32% and 30.99%. That’s quite a wide range so clearly, your credit plays a key role in determining the total cost of your loan. On top of your monthly payments, you’ll be charged an origination loan when you get your cash. Again depending on your credit, you’ll pay anywhere between 1% and 6% of your loan amount. For the maximum $40,000 loan, that can cost as low as $400 or as much as $2,400. You don’t need the money upfront, the fee will simply be taken out of your loan before you receive them. Wondering about LendingClub’s credit requirements? At a minimum, you’ll need a 600, but most successful applicants are closer to a 700 score. There isn’t a salary requirement but the average is just shy of $80,000. Once you apply, you can choose from a variety of loan terms to best suit your budget and desired repayment term. As a P2P lender, investors will need to fund your loan request. During that process, you’ll need to start submitting financial documentation to support your application. Having bad credit doesn’t mean you can’t work with an established lender like OneMain. APRs are above average, ranging from 25.10% to 36% but the minimum credit score is only 550. While most of their loans are secured with collateral such as a vehicle, you might qualify for an unsecured loan if you pay a higher APR. You can potentially borrow as little as $1,500 or as much as $25,000 depending on what you qualify for. They certainly have a strong track record, serving over 10 million customers in total. With over 1,700 physical branches across the country, it’s easy to get in-person support whenever you need it. You can apply online, but if there’s a branch nearby, you’ll need to go in for a meeting to verify information before finalizing your loan agreement. This final step can be performed over the phone if you don’t live near a physical location. 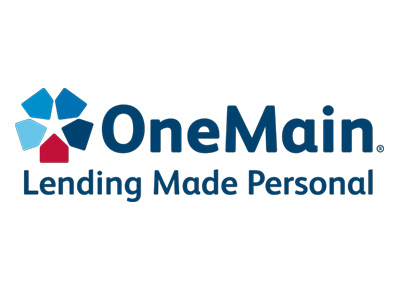 Once you’ve received a personal loan from OneMain, you get to choose from several flexible payment options. You can pay online or through the lender’s smartphone app. There are also traditional payment options, such as at a branch or through the mail. Finally, you can even stop at a Walmart to pay there. It’s an extremely easy and transparent process, particularly if you need access to bad credit financing. We reviewed countless lenders to come up with the best places to get a personal loan online. Special features, since many online lenders provide convenient perks and services for borrowers. Note: Geographic availability was also an important factor we considered. Because each state has different regulations, many lenders only focus on a few select locations when they first open. Then as they gain traction, they move into more and more states. We know our readers live all over the country, so we focused on lenders with a large geographic footprint.